Huge Savings Item! 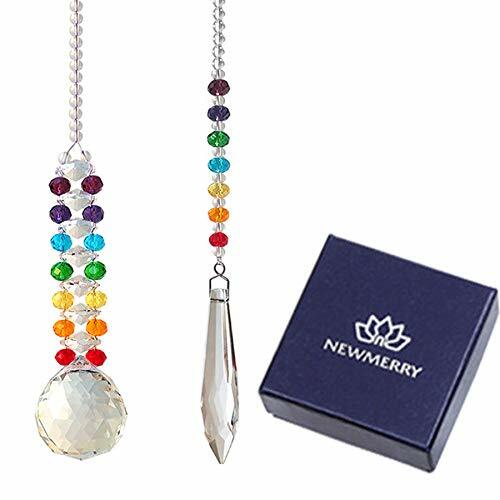 Save 19% on the Newmerry Crystal Suncatcher 30mm Crystal Prism Ball and Icicle Pendant Chakra Crystal Hanging Light Suncatcher for Window Car Rear View,Pack of 2 by Newmerry at Outlet Shopping Guru. MPN: 4336452480. Hurry! Limited time offer. Offer valid only while supplies last. Material: made of 30mm crystal prism ball & crystal icicle pendant and sparkly glass beads; Not plastic! OCCASION: Decoration for Home Office Garden Window and Car, As a Perfect gift choice for family, friends. BEAUITFUL: They fill the room with beautiful rainbows when the sun light hits it. PACKAGING: They are individually wrapped by pretty ribboned bag; Come together in a gift box. If you have any questions about this product by Newmerry, contact us by completing and submitting the form below. If you are looking for a specif part number, please include it with your message.